While gingerly treading among the limestone slabs of the Burren in County Clare, Ireland, my 71-year old grandmother fell and broke her hip. While my father retrieved the rented minibus, my siblings and I carried my grandmother, moaning in pain, past grazing cows to the main road. We raced to the ER of the local hospital in Galway, where the staff immediately took her back to the examining area. We waited anxiously in the lobby, worried about her injury, but relieved that she was receiving emergency attention. As a second-year medical student at Northwestern University, I look back on this traumatic family vacation in the summer of 2000 and recognize a lesson in health care systems. In the United States, where tens of millions of people go without needed care because of the cost, opponents of national health insurance often claim that patients will end up waiting in long lines for sub-par care. However, this is not what happened to my grandmother when she was treated by the Irish national health service. My grandmother was diagnosed with a complete fracture of the femur. Her leg was, in effect, detached from her body. Less than twenty-four hours later, we greeted my grandmother, fresh out of surgery. Both she and my entire family were relieved when told she would need ten days to recover before she could leave Galway hospital. My grandmother stayed in a pleasant hospital room called “the Sun Room,” and quickly made friends with her roommates and nurses. 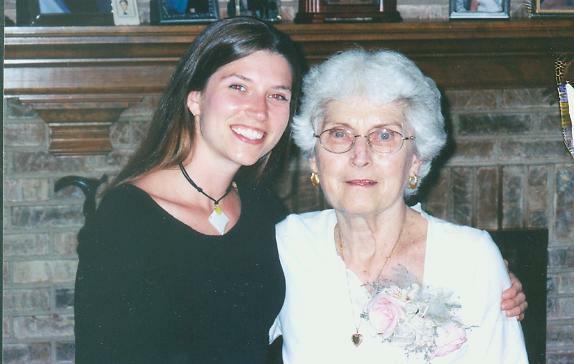 Her doctor was “just the nicest man.” Altogether, the hospital provided my Grandmother with emergency care, orthopedic surgery, physical therapy, nursing care, and a lovely hospital room for ten days. Within a few months of arriving home, my Grandmother’s recovery was complete, and she walked without assistance. Given the amount and quality of the care my grandmother received, the entire family was shocked when the bill arrived. The Irish health service charged my grandmother’s insurance company $6,100 for all the care she received in Ireland. According to Blue Cross/Blue Shield, a U.S. hospital would charge about $35,000, including only four days of hospitalization, and not including emergency treatment. My grandmother’s care in the Irish national health service was swift, compassionate, high-quality, and effective. “The experience was as good as it could have been considering I broke a bone,” my grandmother says. Unfortunately, my grandmother broke her other femur three years later. That hip still hurts her, while her “Irish hip,” she likes to note, is just fine. Her share of the bill for her care, at a hospital in Illinois, despite having extra coverage on top of her Medicare coverage, was not only more than the entire bill in Ireland, but the bills were so very confusing, they took a lot of my parents’ time to straighten out. I hope to provide the best care for all of my future patients, not just the wealthy and well-insured ones. Also, patients should not have to face financial ruin in addition to illness. Over a million Americans go bankrupt over medical bills every year, despite the fact that 75 percent of them have health insurance.